The Freudenthal Manufacturing Swing Away Mailbox Stand is constructed of 2" 10 gauge high tensile strength, triple coated, galvanized steel. It will never rust or need painting. 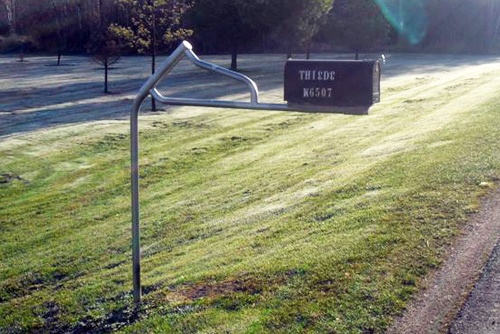 Our Mailbox Stand is design to be installed in any type of landscape.